Do you have a Bradnams sliding door? Does your Bradnams sliding door no longer roll smoothly and efficiently? We’ve been handling Bradnam’s sliding door repairs for over a decade. 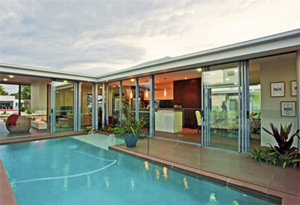 Bradnams windows and doors are one of Australia’s most respected sliding door and window companies in Australia. They have been making sliding doors and windows for over 40 years. Now their high-quality sliding doors are just like any metal part that is available in the marketplace. Over time there’s a lot of wear and tear that makes those sliding doors not slide like new. You see the biggest challenge is time and opening and closing the doors. Your Bradnams sliding door would continue to slide like new if you didn’t use it. But of course, we’ve all got busy lives. Going in and out of your door makes it an absolute certainty your sliding door rollers and tracks will have disintegrated over time. It is only natural. See most people don’t realise how efficient and quick it is to repair their Bradnams sliding door when handled by a professional. When you have a quality repair team like Adsafe Doors, we are able to get in there, diagnose the exact problem, replace the troubled part and have it sliding like new again. What it means is we will go in and identify exactly what is wrong with your door. Generally speaking, it’s the rollers and tracks, but there can be a number of things that have gone wrong with it as well. Has your sliding door dropped over time? Often as a result of the disintegrated parts, the door will have dropped a little bit as well and put excess pressure on other parts surrounding the door. So we’ll go in an assess exactly what needs to be done and we’ll give you a clear and accurate quote, so you know exactly what work needs to be done, the timeframe involved and the exact price to get it done. We will have a look at what needs to be repaired or replaced and then we will replace it with high-quality parts, so you’ve got a satisfaction guarantee with all the work that we do. 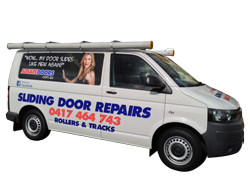 We have been repairing Bradnams sliding doors, the tracks and rollers on those doors for over a decade, so you can feel confident we know exactly what needs to be done to get the door repaired and sliding like new again. You can be assured your locks will line-up perfectly and you will be able to slide the door with one finger with ease. Your door will be sliding like new again. Give the team at Adsafe Doors a call today and we’ll give you an exact time and a quote, so you know exactly what to expect.